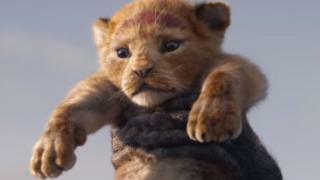 The first teaser trailer for Disney’s live action remake of The Lion King has been released. Seen to come out next summer, the movie has huge names linked to it, including Beyonce, Donald Glover, Chiwetel Ejiofor and Seth Rogan. In the trailer we see the famous opening hours in history, where Rafiki presents a young Simba to Pride Lands. It was released under NFL’s traditional Thanksgiving Primetime game in the United States. 994 and next year’s film. The trailer shopped more than 10 million views in less than 24 hours. It is directed by Jon Favreau, who was behind The Jungle Book Live-Action Remake. Donald Glover plays Simba, Beyonce will play her love interest Nala and Chiwetel Ejiofor will play her uncle Scar. “It’s a director’s dream to mount a talented team like this to make this classic story alive,” said Jon. But not everyone was pleased with the reconstruction of the Jungle Book and it appears that there are some people worried about Disney’s latest attempt to recreate a classic for a new audience. In addition to The Jungle Book, Disney Remade Beauty and the Beast (with Emma Watson) and Aladdin will be released next year. Will people get bored of watching their favorite stories tell me over and over again? Last year, Newsbeat spoke with the cast of London’s Lion King musical about the new movie. Fan reaction on the new trailer has been largely positive, especially from young Americans who watched the football. The movie is ready for release in July 2019. Listen to Newsbeat live at 12:45 and 17:45 every weekday on BBC Radio 1 and 1Xtra – if you miss us, you can listen back here.